The Christian philosophical community has lost one of its most influential luminaries. William P. Alston – past president of the Society of Christian Philosophers and the APA, and author of numerous philosophical works in epistemology, religion and language – died today in his home in Jamesville, NY, at the age of 87. Alston was a central figure both in analytic philosophy and Christian philosophy, contributing in no small measure to the latter’s current resurgence and vitality. He wrote prolifically throughout his fifty-year career; advancing the project of reformed epistemology and publishing on topics as wide-ranging as divine command theory, realism about truth, ontological commitment, sense perception, linguistic acts, epistemic circularity, and the problem of evil. 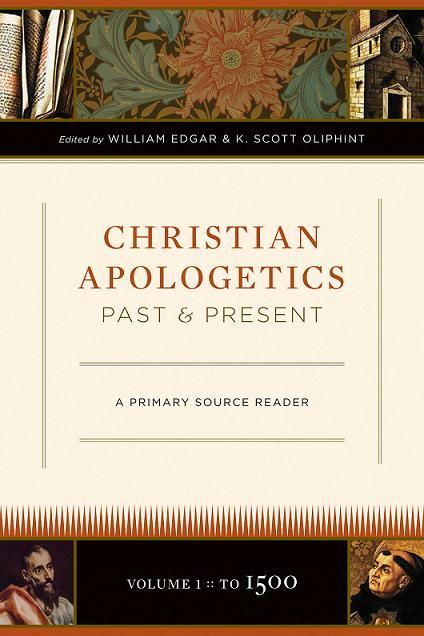 Alston’s thought has spawned an enormous body of commentary, both critical and appreciative: including symposia, articles, conference discussions, multiple citations throughout analytic literature, and two festschriften. He was a true intellectual force and his impact has been profound, both setting the standard for penetrating and rigorous evaluations and inspiring, by all accounts, through his leadership and civility. Keith DeRose at Certain Doubts has links (via Daniel Howard-Snyder) to a fuller biography of Alston and a comprehensive bibliography of his writings. You can also peruse Michael Sudduth’s page of online articles by Alston. Matt Flannagan offers some brief thoughts on Alston’s legacy. Jeremy Pierce reflects on his own personal memories of Alston as a philosopher and teacher. IGN has released the rocking live-action trailer for the video game Halo 3: ODST. The commercial shows snapshots in the life of an Orbital Drop Shock Trooper, beginning with him as child witnessing a funeral and ending with him as scarred soldier mourning a fallen comrade. The brief war scenes against the Covenant are fast-paced and well done, with an Omaha-beach-landing-introduction to the battle and tense encounter with a Covenant Brute. 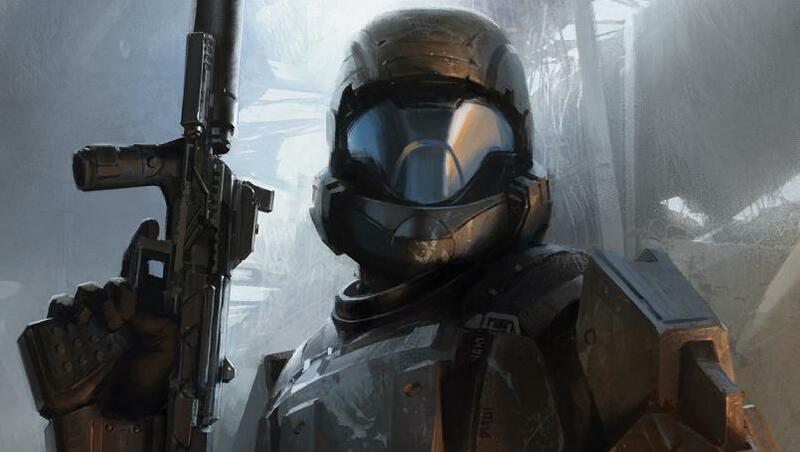 The ODST may be an impassive, well trained instrument of war but he is no Master Chief and the clip makes it clear that the new game will emphasize a different kind of hero. Given this trailer, it’s no surprise that many are again asking questions about the Halo film project and why exactly it failed. Video games have never translated well to celluloid, but the Haloverse has more depth than you would expect (fleshed out in some of the novels). And the central war with the Covenant, too, is no worse an impetus for story-telling than that of many other sci-fi outings. However, Neill Blomkamp, who was once signed on to direct the Halo film (and then went on to helm the spectacular District 9) pointed out that one of project’s hurdles was the game’s main protagonist. Master Chief worked well in the video game but did not hold much weight, dramatically, because of his faceless nature. Rumours about the project have continued to surface (a script by Stuart Beattie adapting The Fall of Reach is the last I heard) but at the moment the rights to the production are with Microsoft and it will be interesting to see if they take the positive reaction to this trailer as cause to revisit its status. The game launches on the 22nd of this month. These are my notes for my student group’s Bible study. Forgiveness stands as such a central concept in Christianity and it was exciting to be able to address it with others in light of what the Bible has to say (at least I hope the others found it as exciting as me). Chris Braun’s book Unpacking Forgiveness was a real help and I recommend it for anyone is interested in digging deeper into this important topic. Some suggestions for defining forgiveness: (1) accepting someone who has “asked for forgiveness”; (2) forgetting that an offense has occurred, i.e., not keeping “a record of wrongs”; (3) restoring a relationship back to its pre-offense condition; (4) treating the person as if the offense never occurred in the first place; (5) desiring that only good, and not punishment or consequences, would befall the offender (Justin Taylor). We should try to understand divine forgiveness first before we consider what ‘horizontal’ forgiveness looks like and what it means to forgive others. Because God is supremely good and valuable, He is therefore our standard and ultimate pattern. What can we say about the writer and his circumstances? What does the writer tell us about who God is? What are his expectations of God? What characteristics of God does he base his petitions on? 1) We shouldn’t be afraid to see joy and happiness as motivations for living out forgiveness. Why do we need divine forgiveness? Because we are sinners and not only fail to put God at the center of lives but actively do wrong. Yet forgiveness is not the ultimate goal. Our ultimate goal is not to be pardoned, or even to be pardoned so we can get to heaven. Our chief goal is to know and enjoy God. Forgiveness is essential and necessary, but only a means to enjoying God. 2) Forgiveness is neither easy, nor a straight-forward concept. Forgiveness begins with a decision but can be a difficult and lengthy process. Taking revenge is the default option. To refuse revenge is enormously costly (because instead of the offender paying the emotional debt, we have to pay it ourselves). We will want to see the person who has wronged us equally hurt. But to return evil with evil shapes us into likeness of the evil. When we make the other person pay, we are becoming like the evil done to us. We must beat this process with love. But how? 3)Forgiveness should only occur when proper conditions have been met. Why was David in agony? Because of his silence (verse 3). He needed to acknowledge his sin (verse 5) to find forgiveness from God. God does not just forgive everyone. He is gracious and willing to forgive everyone but His forgiveness is conditioned on our confession and repentance. “If we confess our sins, He is faithful and just to forgive us our sins and to cleanse us from all unrighteousness” (1 John 1:9). It is the same for our horizontal relationships. We must always be in a position of forgiveness and ready to offer it, but for actual forgiveness to take place, change has to occur in the party that has wronged us. But while we should always pursue reconciliation and maintain a ready position of forgiveness, we should not actually go further and grant forgiveness where there is an absence of repentance. In fact, it is wrong to forgive unless there has been a change in the part of wrongdoer (Luke 17:3 “If your brother sins, rebuke him, and if he repents, forgive him”) Our forgiveness must never take place in a way that is inconsistent with justice. Just as God’s moral law is perfectly upheld in His forgiveness (The cross enables Him to be both just and the justifier, Paul writes in Romans 3:26) In seeking revenge, we give into selfishness, but in automatic forgiveness and mere resignation we risk selfishness too. Why? Because we do not care about God’s justice and whether the injurer will keep sinning. It is important to see that this is not a unique test. All the ethical commands of Jesus are virtues and characteristics that he demands in our lives, and on which our eternal destination hangs (see Matt 5:22, 29, 44; 7:21-23; 18:6). Forgiveness is not an exception, it is the rule. So why then does Jesus bring it up? Because it mocks God to come to Him for forgiveness if we esteem it so poorly in our own daily lives with others. We need a forgiving spirit that doesn’t like conflict and yet doesn’t avoid it. We need an attitude that doesn’t return evil and yet doesn’t wrongly capitulate to resignation and ignore a responsibility to justice. 5. But how do we do this? How do we bear this enormous cost and cultivate an attitude of forgiveness? Through the Gospel. Through seeing and adoring Jesus Christ and knowing that he himself paid the greatest sin-debt and didn’t make me. I’ll never be able to pay the debts people have to me unless I see the infinite debt I have before God. After all he’s done for me, I’m glad to have the opportunity to demonstrate to Him what he means to me by paying this debt. Who would have thought that gangster rap would make the perfect soundtrack to presuppositional apologetics? This teaser showcases the documentary, Collision, to be released on DVD next month. Directed by Darren Doane, the film follows the debate tour of New Atheist author Christopher Hitchens and pastor Douglas Wilson. Both are sharp commentators. Both wield their humour with acerbic edge (say what you will about Hitchen’s bluster and lack of philosophical roots, he is still a witty and often entertaining writer). So an exchange between them is likely to be a fascinating subject for a documentary. Debates are already a spectacle in and of themselves, with enormous drama and emotional investment (some may even argue that that is all they are). But this kind of film has the ability to take us even further into the drama. With slick cuts and its unique visual style, the film brings a whole new dimension to the event and to the argument that was the focus for the tour (“Is religion good for the world?”). Our culture has a clear obsession with the visual over the abstract and it will be interesting to see whether the film can successfully communicate some of the ideas that inspired the exchange in the first place, or whether the medium will swallow the message and engulf those ideas in the foreground of personalities. The DVD comes out on the 27th (you can preorder now on amazon). You can also pick up the book there that Wilson and Hitchens both co-authored on the same topic. Also worth reading is their email exchange at Christianity Today.